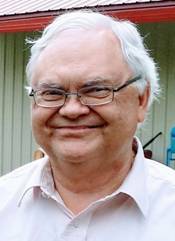 Roger Snow, age 65 of Roseau, MN, passed peacefully into Jehovah God’s perfect memory on Sunday January 13, 2019 at LifeCare Roseau Manor in Roseau. Roger Asa Snow was born on May 16, 1953 at the home of his mother and father in Advance, Missouri. The physician had to come, because, as his aunt Opal Ward wrote, his mother “didn’t want to go” to the hospital! Octa Eileen Ward was from Puxico, Missouri and married Asa Rufus, “Asey,” Snow on the 28th of March, 1952. They settled in Roseau County, where Roger went to school at country school in Malung. His cousins and classmates recall a brilliant student who was shy and needed encouragement to join in and play. Later, after his family had returned to Missouri, Roger graduated from Advance, Missouri High School in 1973. Roger’s family then came back to Roseau to stay. It was here, that he accepted the offer of a bible study from Jehovah’s Witnesses. Roger loved what he learned, especially God’s promise to restore the earth to a paradise, and his promise to resurrect the dead, found at Psalms 37:10,11.29; John 5; 28,29; Revelation 21; 3,4. With eagerness and zeal, Roger began to share in the ministry work himself and on May 1st, 1982, he dedicated his life to Jehovah and was baptized as one of Jehovah’s Witnesses. He unselfishly, opened his home to others who were serving God and increased the time he spent in the work by “Pioneering.” He attended Pioneer School and served as a Ministerial Servant in the Roseau Congregation. A patient, gentle and amiable soul, Roger was always up for a picnic. He would bring his famous brownies to share, along with his highly contagious laughter. He loved dogs and cats and collected many stuffed animals. Most special to him, though, were all the children of the congregation, a source of joy and the object of his giggles even during meetings. He is survived by numerous cousins and other long-distance relatives, as well as his family of faith, whom he called “brothers and sisters,” and his goldfish. A Memorial Service was held on Sunday January 20 at 3 PM at the Kingdom Hall of Jehovah’s Witnesses in Roseau. Burial will be in Falun Cemetery in the spring. A special Thanks to the staff of Social Services, New Horizons, LifeCare Medical Center and LifeCare Roseau Manor for all the excellent care Roger received.